The rap against Treme has always been that it’s more concerned with authenticity than it is telling a story. The characters lecture others—and, by extension, the audience—about the true meaning of New Orleans or jazz, and that’s essentially the sum of the show’s conflict. Hailing from David Simon, creator of The Wire, this has always stuck in lots of critics and viewers’ craws. Shouldn’t there be more happening? Shouldn’t the show be bigger, or have more of an epic sweep? Yet, those looking for a slow-building march toward some sort of catharsis from Treme—those looking for it to be The Wire in New Orleans, in other words—have always been barking up the wrong tree. 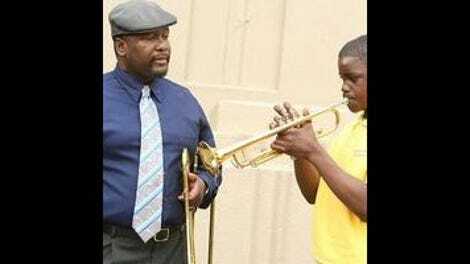 Headed into its fourth and final season, Treme has never quite washed its not-Wire status off. This is too bad, because at its best, Treme is one of TV’s most vibrant and vital shows. It’s a series less about telling stories, or having grand character arcs than it is about capturing the act of living with a focus on the way recovery, of cities and broken individuals, is undertaken one week, one day, one step at a time. The show’s beauty is not in big moments, or exquisitely written scenes (though it has both), it comes in the pauses between, the semicolons and commas that make up the bulk of many lives, but which TV has trouble giving full heft. If there’s a complaint to be leveled against this final season, it’s that it doesn’t feel like a final season at all. (Indeed, the series finale ends in the middle of several prospective character arcs.) After squinting hard enough, it’s possible to see how the season builds toward points of closure for all of the major characters, and there’s an all-consuming illness that fells one important figure before the season is out. But there are few grand epiphanies, or moments of transformation here. There’s simply the sense of people who have come a long way from when the series began, yet haven’t realized how far their journey would take them. In the musical montage that finishes the series, there are no closing parentheses placed on any of these lives. Rather, a sense that the characters are still in the process of realizing what their own endpoint might look like in the years they have left is provided. There is no other way to end this series. There are arcs here, of sorts, particularly from Steve Zahn’s DJ, slowly moving toward respectability, and Clarke Peters’ proud old man of the city, slowly realizing his own limitations. But the overall feel is that of the world rolling by as implacably as the Mississippi River glimpsed here and there throughout the season. People die, and other people mature. Businesses are started, and new careers are born from the ashes of ones that self-immolated. Crimes are solved, and others are covered up. A new president is elected, and the local football team marches to victory. People tell the truth. Others lie. The river rolls. That can be frustrating, particularly when approached with hopes of some sort of overarching grand story that will tie all of the pieces together. But even when Treme dabbles in grand storytelling, it’s not doing so on the scale of other cable dramas. Its primary mission seems to be building an alternate place for viewers to go to, a New Orleans that exists in television sets and nowhere else. The series’ constant nods toward authenticity and purity of vision can become a little ridiculous—look for a surprisingly clichéd smack at Auto-Tune, of all things, in the series finale—but they also point toward the show’s true intent, which is its belief in pulling viewers deep into the lives of these characters. Ultimately, if viewing Treme as a new take on some of the same themes from The Wire is unhelpful, it’s tremendously interesting to look at the show, instead, as that earlier series’ mirror image. 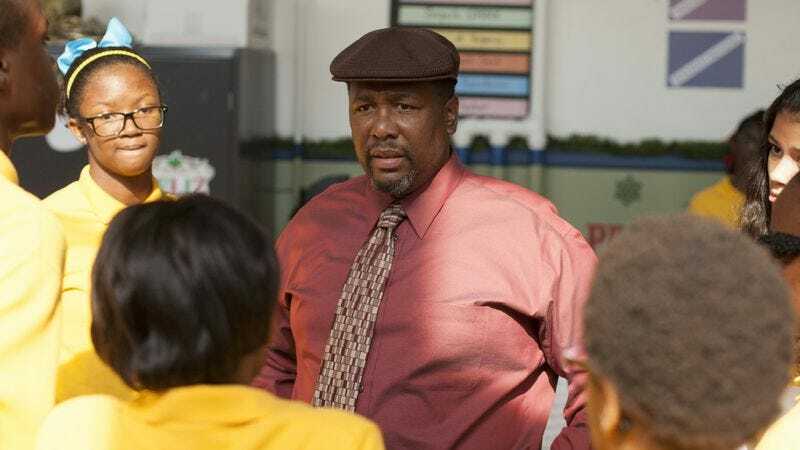 In his earliest musings on the series, Simon suggested that if The Wire was about what’s wrong with American cities and systems, Treme would be about what was worth preserving. But it’s possible to go even further than that. The Wire is about what happens when things fall apart, while Treme is about the hard, but necessary work of putting them back together again. Reassembling something will always be less dramatically interesting than tearing it apart, which may be why Treme remains a niche taste even among the cult audiences that have devoured Simon’s earlier work. Yet the series is necessary, because it offers glimmers of hope, caught almost in the peripheral vision. That final montage leaps forward and forward and forward through time, attempting to fit in everything that truly matters, as if the series is trying to encapsulate everything it wanted to say in the space of about 10 minutes. That ultimately leaves the viewer wanting more, at least a bit. Though the series has already said so much through one singular image. In the season premiere, Zahn’s car bottoms out in a massive pothole. Not trusting the city to fix it, he drags a bunch of junk out to stick in it, providing a kind of pothole scarecrow to warn other cars. With time, others in the neighborhood add to it, making a hodgepodge of elements that creates something unexpected and wonderful, a new, weird local landmark. In this image, Treme captures its own essence: something beautiful that was made by accident by many hands, constructed out of the wake of the void. Nothing lasts forever, but the marks we make—on each other and on our cities—fade more slowly than we do.